Halloween is just round the corner! Everyone is busy deciding themes for their Costume Parties for the upcoming Halloween Season. In preparation don’t leave your loving pet. Get your pets in Halloween mood by dressing them in Halloween Pet Costumes as per your Themes. Don’t let them feel neglected this Halloween Season. Transform your Dog into a SUPERHEO of your choice. Dress them up in these super-cool Superhero Costumes this Halloween. 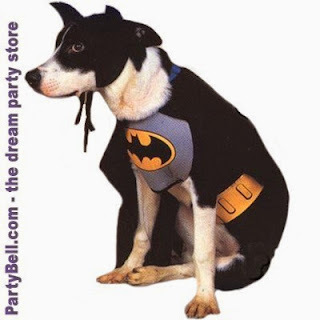 Make him Superhero for a day in this Brave & Bold Batman Dog Costume this Halloween. This Costume includes Shirt, Cape & headpiece. Description: Contains: Chest Piece, Cape, Head Piece and Belt. This is an officially licensed product from The Adventures of BATMAN and ROBIN. Care Instruction: Hand Wash Cold Water, Gentle Cycle, No Bleach, Line Dry, Cool Iron if Needed. It’s a Bird, it’s a plane NO it’s a SUPERMAN. Oopss its Superdog! 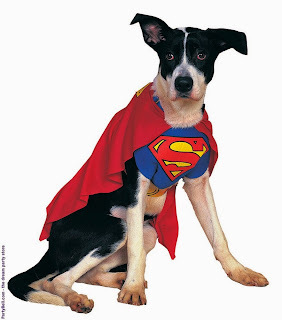 Dress up your dog as superdog this Halloween Superman Deluxe Dog Costume. This Superman costume includes jumpsuit, arms, cape, belt. 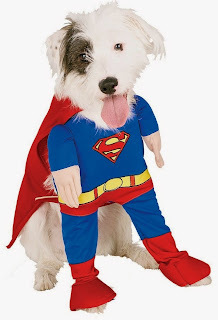 This is an officially licensed Superman ™ pet costume. 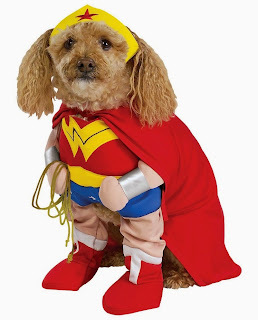 Dress up your cute puppy as the strongest Amazon Warrior – Wonder Woman this Halloween Season. Costume includes jumpsuit, belt, arms, cape and headpiece. This is an officially licensed Wonder Woman ™ pet costume. Superman Costume for your Super Dog this Halloween Season. 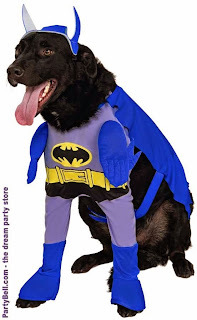 Transform your dog to dog of steel in this Super Dog Costume. Costume includes Chestpiece with attached cape, belt. This is an officially licensed SUPERMAN product. 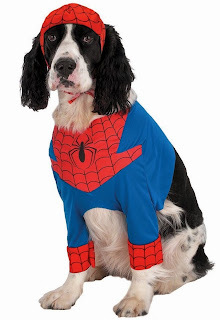 Your dog will look the best in this Spiderman Comic Dog Costume from PartyBell.com. Costume includes character pant and headpiece. This is an officially licensed Spider Man ™ costume. Dress up your Pet in one of these Pet Costumes for Halloween to let him enjoy Halloween to fullest.